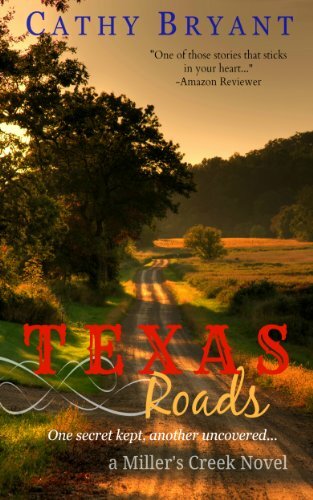 From this bestselling page-turner series of stand-alone novels comes a dramatic romance of one woman’s search for home and the Texas rancher who teaches her what homegoing really means. A disillusioned heiress wants nothing more than a place to call home. With lovable-but-quirky town folks, quaint country charm, and loads of business potential, Miller’s Creek seems like the perfect place to start over. But Dani’s dreams of finding home are crushed when malicious rumors and a devastating secret propel her down a road she never expected to travel. Though a Texas politician questions the arrival of this city gal in the hometown he’s sworn to protect and defend, Steve can’t help but admit he’s falling for her. But when a mysterious billionaire funds a renovation to downtown Miller’s Creek, Dani’s suspicious behavior brings his built-in lie detector to alarm-clanging alert. Can Steve and Dani call a truce for a higher calling? Will romance blossom in Miller’s Creek? And will Dani ever find true home? Written with the feel of Mayberry and the Mitford series, readers have fallen in love with Miller’s Creek. Will you? If you enjoy Christian contemporary romance and inspirational women’s fiction, don’t miss this feel-good novel. Get your copy today.